Who Would Be Favored in a China-India Conflict in the Himalayas? The People’s Republic of China and the Republic of India engaged in an armed standoff on the Doklam Plateau from June to August 2017. The tension between the two countries began ratcheting up when the People’s Liberation Army (PLA) began building a road southward into Tibet on June 16, 2017. This drew a response from the Indian army, which sent small units to the area to stop the construction two days later. Although that incident did not end in war, what would have happened if the PLA continued extending the road southward and the Indian’s responded with a show of force? 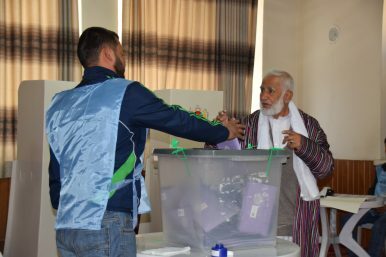 KABUL, Afghanistan – On October 20, Afghanistan held its long overdue parliamentary elections. Delayed since 2015, the polls were only the third since the ousting of the extremist Islamist Taliban regime in the wake of the 9/11 attacks in 2001. While voter turnout in Kabul and other cities was reportedly high, the election was spoiled by technical and organizational problems at some of the 4,900 polling stations across the country. Contrary to large populations centers, where security was – for Afghan standards – relatively good, insurgent attacks severely hampered, if not prevented, voting in some more remote areas. These disruptions open the door even further for – justified or not – criticism of the results (preliminary results are scheduled to be announced on November 10). America has lost the war in Afghanistan. Washington may not want to admit it, and the U.S. military insists the conflict is a “stalemate.” But make no mistake: The original 9/11 war has been lost. On Thursday, the Taliban attacked a meeting between Afghan officials and the top U.S. military commander in Afghanistan, Lt. Gen. Austin S. Miller. Americans in attendance were wounded, but Miller was unhurt. At least three Afghan officials, though, were killed, including Gen. Abdul Raziq, a key American ally and powerbroker in southern Afghanistan. The U.S. military’s initial statement on the attack was a good example of its cognitive dissonance. Instead of a full condemnation, Col. Dave Butler, the spokesman for U.S. Forces-Afghanistan, claimed it was merely an “Afghan-on-Afghan incident.” This is an absurd characterization given that the Taliban quickly claimed responsibility, a crucial anti-Taliban commander was killed, and Americans were wounded, all in the presence of the U.S. general in charge of the war effort. Wang jianqin, in a thick red jerkin worn over her working clothes, does not look like an agent of superpower reprisal. The 60-year-old farmer rears 4,000 pigs in a brick-walled compound in Shunyi district, some 45km from Beijing. About a fifth of the food that she uses to fatten them up is soyabean meal, something China has come to import in vast quantities from the American Midwest. Over the past 30 years, as the demand for pork in China has outstripped that in any other country, Ms Wang and her peers have done very nicely out of that American soya. And in America farmers have done well out of Ms Wang. Chinese money helped them pay for lots of cheap, Chinese-made goods at Walmart—as well as for the genetically modified seeds and other high-tech inputs stuffed with American know-how that make them so productive. 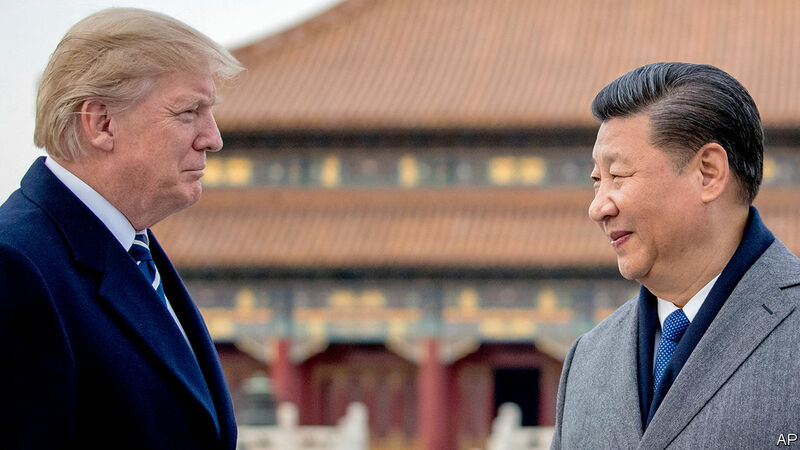 With China very much in mind, Congress has passed the Foreign Investment Risk Review Modernization Act, or FIRRMA, mandating the Committee on Foreign Investment in the U.S. (CFIUS) to review and, if necessary, block both foreign attempts to acquire real estate in sensitive areas and joint ventures that could involve the transfer of American technology to foreign companies. At the same time, however, China has established its footprint in key logistical hubs worldwide and is seeking to expand it even further. Its growing global logistical reach could pose serious national security challenges for the United States and its allies. In October 2018, Chinese media announced that the People’s Liberation Army Air Force (PLAAF) would publicly unveil its new H-20 stealth bomber during a parade celebrating the air arm’s seventieth anniversary in 2019. Prior news of the H-20’s development had been teased using techniques pioneered by viral marketing campaigns for Hollywood movies. For example, the Xi’an Aviation Industrial Corporation released a promotional video in May 2018 pointedly imitating Northrop Grumman’s own Superbowl ad for the B-21 stealth bomber, portraying a shrouded flying wing bomber in its final seconds. Later, the silhouette of a possible new bomber appeared at a PLAAF gala. This comes only two years after PLAAF Gen. Ma Xiaotian formally revealed the Hong-20’s existence. International and regional forces have all but deprived the Islamic State (IS) of its territory, yet its apocalyptic ideology allows it to continue fighting despite these losses. IS’s goal to prepare the world for the end times does not require territory and will serve as a justification for its surviving members to maintain insurgencies in the Middle East and elsewhere. Generations have come and gone since the worst days of the “balance of terror” that defined the Cold War. Most Americans alive today don’t remember diving under their school desks in practice drills, quaint government plans for fallout shelters and evacuation routes, or the frenzied debates over which country might decide to rain down thermonuclear fire first and how many “megadeaths” would occur. That’s because, starting around four decades ago, Washington and Moscow began walking the world back from the nuclear precipice by negotiating a slew of arms control agreements. With the Trump administration’s decision to withdraw from the Intermediate-Range Nuclear Forces (INF) Treaty—followed, possibly, by the START agreement—this safer world could well come undone. Four years ago, the United States started committing troops to Syria. Four years into operations, the troops are clear what they have to do every day. What they are unclear about is why. At a recent gathering in Washington, a U.S. general lamented that the United States has multiple policy goals in Syria, but it has not been able either to prioritize or deconflict them. That is a problem. A collection of aspirations does not provide a path toward success. While it is encouraging that the United States has taken a more active approach to Syria in recent months, the new approach cannot succeed absent a much more serious discussion about U.S. strategy in the country. U.S. goals and U.S. means need to be adjusted. After alleging that Russia violated the 1987 Intermediate-Range Nuclear Forces Treaty, U.S. President Donald Trump has said he will pull out of the agreement. This isn’t the first time the U.S. made such allegations. Former President Barak Obama also claimed that Russia breached the treaty by deploying certain cruise missiles, but he chose not to withdraw from it under pressure from European nations. Trump is less sensitive to European sentiment and, therefore, has decided to terminate the agreement. The Russians, meanwhile, claim that they are not in violation of the treaty and that the U.S. charges are irresponsible. Russian media have sought to undermine Turkey's political and security cooperation with the United States and Europe by exacerbating mutual skepticism and highlighting policy differences. In Turkey, Russian media have also contributed to anti-American discourse and have reinforced and informed the Turkish government's own propaganda pursuits. This analysis assesses how Russia has used media and information operations to pursue its foreign policy goals related to Turkey. It examines Russian media responses to three significant events in Turkey: (1) Turkey's November 2015 shootdown of a Russian military aircraft, (2) the July 2016 Turkish coup attempt, and (3) the December 2016 assassination of the Russian ambassador. Russian media efforts following these events exemplify the propaganda strategies of amplification of genuine uncertainty, creation of opportunistic fabrications, and use of multiple contradictory narratives. The central statement that strategy is a pervasive and enduring aspect of human history describes the theory, practice, and predictions surrounding the study of strategy posited by Colin Gray in his 2015 book, The Future of Strategy. This book is a useful start point for any student of strategy, strategic history, and for those who seek to understand its foundation, formulation, and fallibility. Gray ultimately offers that the future of strategy is contiguous, susceptible to the human condition, and a generally difficult enterprise in which to succeed. Nevertheless, he explains its definition, origins, and utility for the contemporary strategist. In the first instance, Gray offers the foundation of strategy from the perspectives of both Carl von Clausewitz and Lawrence Freedman. He cites his difficulty with Freedman’s approach and ultimately sides with the Prussian foundational view. Gray suggests strategy and politics are inextricably linked and ties this to human motives through the enduring Thucydidean triptych of fear, honour, and interest; moreover, he offers that in the context of geography, there are some useful predictions of behaviour in understanding the culture of an adversary. Strategy’s evolution in the nuclear age, declares Gray, is a useful vehicle for viewing its future—a terrifying thought given the propensity for human error in strategy. 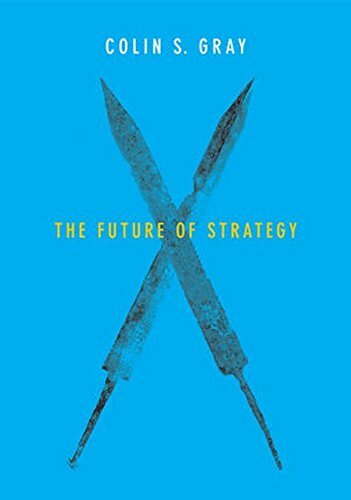 The Future of Strategy is more than just a description of the subject’s transition into the next epoch, it posits a useful definition, a description of geography’s immutable influence, and the centrality of politics in the design and execution of strategy. ATHENS – Even Google’s fiercest critics use its technologies to research their fiery tirades against it or, more mundanely, to find their way around a foreign city. 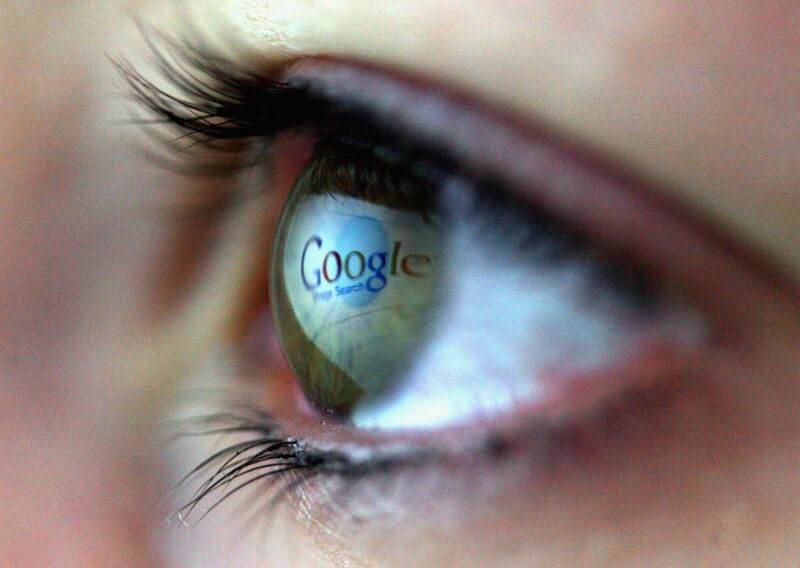 Let’s be honest: life without Google would be awfully more tedious in a variety of important ways. But that is not a good reason to leave Google and the other tech giants alone. On the contrary, the nature and importance of their contribution make it imperative that they be placed under democratic control – and not just because of the well appreciated need to protect individual privacy. In recent years, Big Tech companies have been subjected to scrutiny for perfecting a dark art pioneered by commercial newspapers, radio, and television: attracting and holding our attention, in order to sell access to our senses to paying advertisers. Whereas readers, listeners, and viewers were customers paying for some commodity, commercial electronic media learned how to profit by transacting directly with vendors while reducing us, and our data, to a passive commodity at the heart of the transaction. ROCKVILLE, MD: In a bland office building 30 minutes from the Pentagon, a wall-mounted screen shows, in real time, every suspicious email and LinkedIn request sent to employees of Lockheed Martin, the world’s largest defense contractor. With 98,000 people worldwide working on some 8,500 programs, the company’s network interacts with the internet 20 billion times a day. That’s more than 230,00 events per second. 99 percent of those events — emails, pings, logs, etcetera ad nauseam — are “mostly meaningless,” Lockheed’s cyber intelligence director, Mike Gordon, told me and a fellow journalist this morning. But buried in that gigantic haystack are a handful of poison-tipped needles. Russia, China, North Korea, and other advanced adversaries want intelligence on the US and allied weapons that Lockheed Martin makes, from the F-35 fighter and the Littoral Combat Ship to hypersonic missiles and missile defenses. Such nation-state actors have been attacking Lockheed since at least 2003, Gordon and his colleagues said. How can the company know which events out of billions require it to take action? Amid a growing concern that foreign countries have infiltrated American weapon systems and suppliers, the Pentagon is conducting a pilot program to discover which companies are in their supply chain, according to a top defense contractor. “We are working with some pilots with the Department of Defense and some of our industry partners to say, ‘How can we build a system for the government where the government can see where is the supply chain from A to Z,’ ” Mike Gordon, the deputy chief information security officer at Lockheed Martin, told reporters. 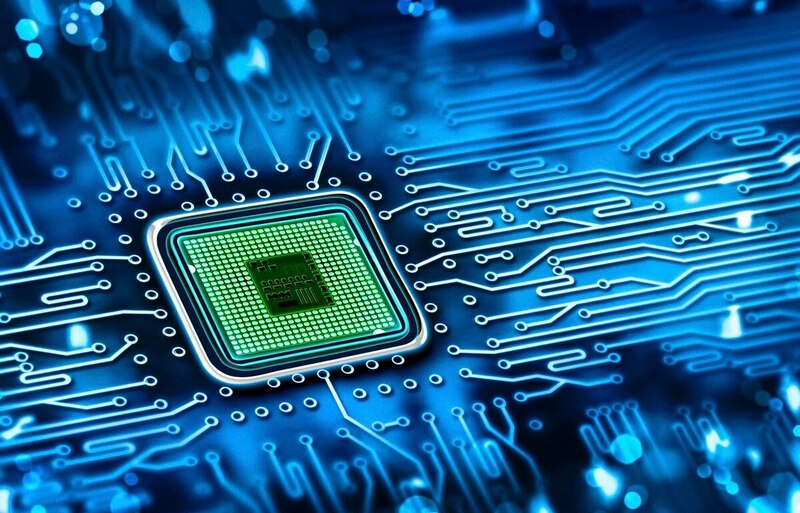 Today’s job market looks pretty good from the perspective of a qualified cyber professional. According to Cyberseek, there are over 300,000 cybersecurity job openings in the United States right now, and the Center for Cyber Safety and Education predicts that by 2022 there will be a global cyber-talent shortage of 1.8 million and growing. With so many openings, cyber professionals can be particularly choosy, holding out for positions and workplaces that meet their personal and professional needs. Organizations cannot rely on salary alone to attract top tier cyber talent. This is especially true in government, where arcane pay rules developed in the 1940s and inflexible policy guidelines often hamper the ability of agencies to make competitive salary offers. That’s why China's trade surplus with the US rose to a new record high. In his testimony before Congress this year, Mark Zuckerberg, the chief executive of Facebook, addressed concerns about the strategically disseminated misinformation known as fake news that may have affected the outcome of the 2016 presidential election. Have no fear, he assured Congress, a solution was on its way — if not next year, then at least “over a five- to 10-year period.” The solution? Artificial intelligence. Mr. Zuckerberg’s vision, which the committee members seemed to accept, was that soon enough, Facebook’s A.I. programs would be able to detect fake news, distinguishing it from more reliable information on the platform. With midterms approaching, along with the worrisome prospect that fake news could once again influence our elections, we wish we could say we share Mr. Zuckerberg’s optimism. But in the near term we don’t find his vision plausible. Decades from now, it may be possible to automate the detection of fake news. But doing so would require a number of major advances in A.I., taking us far beyond what has so far been invented. The Army this month outlined its plan for using modern-day information warfare in future military conflicts as part of new, high-technology warfighting capabilities. According a new manual, information operations are defined as the use during military operations of “information-related capabilities in concert with other lines of operation to influence, disrupt, corrupt or usurp the decision-making of adversaries and potential adversaries while protecting our own.” Weapons include military information support and deception activities, public affairs work, electronic warfare and cyberoperations. “Information is an element of combat power,” the manual states. In July 2015, Wired magazine published a report of a test in which a team of computer “hackers,” using a wireless connection to the car’s computers, controlled the car’s computers. They turned the air conditioning and radio on, shut off the engine and the brakes. At one point, they cut off operation of the car’s transmission. An October report by the Government Accountability Office to the Senate Armed Services Committee says that the Pentagon’s most advanced weapon systems may be vulnerable to the same sort of cyber attacks. Let’s dispense with the term “hacker,” which conjures an image of a pajama-clad teenager sitting in his mom’s basement with a beer and a laptop. The concerted, long-term cyber attacks that are made against our defense and intelligence establishments are perpetrated by powerful nations and terrorist groups.